Opening on Saturday 23 June 2018 from 2-6pm Spirit of the Wild is hosted by the Naval Marine Archive ­ The Canadian Collection the at The Victory, 205 Main Street, Picton. 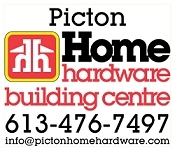 The exhibition's sponsors include Home Hardware and Mr Conrad Guziewicz. Takashi Sakamoto's sculptures exhibit his skill in creating totally unique art forms, with precious metals and gems inlaid on bronze and marble, creating works for major collections and serious investors. Takashi-san is based in Prince Edward County. He was born in Tokyo and travelled extensively. In 1977 Takashi graduated from the Ontario College of Art where he received Honours for his sculpting. Fascinated with the process of inlaying precious metals into bronze, he began to re-discover these traditional techniques and apply them to his oeuvre. His sculptures became pieces of timeless beauty. 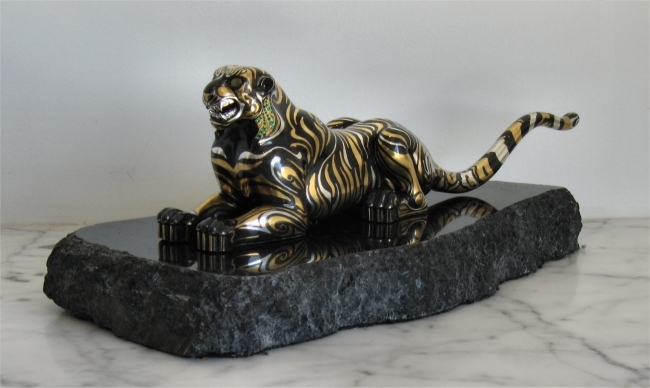 This sculpture The Tiger is a bronze inlaid figure, thirteen inches long on a black granite base, inlaid with gold, silver, diamonds, emeralds and other gems. This exquisite piece took four years from inlay to finish. This is his first solo exhibition. He has shown his work internationally, including a commission by the Royal Ontario Museum for the European Gallery which opened in March 1990. 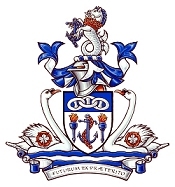 He was asked to create samples of various decorative metal techniques used in making middle-age European arms and armour; his superlative example included engravings, acid etchings, inlaying, steel carving, chasing, repoussé, plating and patining. He was the carver who assisted the renowned artist, Mr. David Pepper, for the exhibition of North West Coast native masks at the Discovery Train, National Museum, Ottawa. Takashi Sokamoto has also worked for Shim Sutcliffe Architect, K.P.M.B. and other architects. The exhibition at the Victory gallery will be ongoing from 23 June to 15 July 2019. Tickets are available for the opening.